The Peoples' Democratic Party (HDP) aimed to transform to a democratic mass party to reach out to more voters from different socio-economic and cultural backgrounds such as women, workers, Alevis, Armenians and LGBTI people in its election campaigns for the June 7 elections. It was a rather radical start for a party that is in tune with the PKK's goals and successor to the Pro-Kurdish Peace and Democracy Party (BDP), which changed its name to the Democratic Regions Party (DBP) and was restructured in 2014. As the national affiliate of the regional DBP, and with hopes of collecting all leftist groups under its wing, the HDP aims to grow into a mass party. In order to reach this target it has to win over voters from the main party in power, the Justice and Development Party (AK Party) and the main opposition Republican People's Party (CHP), whose voters have not before cast a vote for a party whose roots are bound with a strong Kurdish identity. In this respect, it was a very challenging gamble and a big test for HDP Co-Chair Selahattin Demirtaş. During the election campaign, Demirtaş struggled to convince Kurds with a primarily traditional Kurdish issues-focused role, and admittedly, that was a rather tough performance for him. On the one hand, referring to the 2011 elections, the AK Party carried victories in electoral districts of the BDP. The AK Party received the most votes in nine out of 14 districts in eastern Anatolia and five out of nine districts in southeastern Anatolia. It was the result of AK Party's well-directed and inclusive economic, social and cultural politics for southern and eastern Anatolia and the long-lasting reconciliation process with the PKK that could not be denied. On the other hand, Demirtaş struggled to convince voters in non-Kurdish majority districts to break the 10 percent national election threshold, which is the minimum set for any party to sit in Parliament. Demirtaş already paved the way to convince voters in eastern and southeastern Anatolia in 2014 along with his statements that the reconciliation process launched between Ankara and the PKK was on the edge of breaking apart. He heavily criticized the AK Party for failing to elaborate a legal framework for the return of PKK militants and questioned the party for their real intentions. He warned several times and emphasized that their patience was running out. With the recent outbreak of violence and conflict between Turkey and the outlawed PKK, Demirtaş has gained a rather significant ground for the upcoming Nov. 1 elections. After a long period of nonviolence and normalcy between the PKK and Ankara, which emboldened the initiative to find a resolution to the decade's old-Kurdish issue, President Recep Tayyip Erdoğan said it was impossible to continue with the reconciliation process because of the recent PKK attacks. It is for sure that immediate stalling of the reconciliation process strengthened Demirtaş's hand for the Nov. 1 elections. He was able to manage to recollect all the votes that belonged to the AK Party in the 2011 elections. Termination of the reconciliation process has damaged good intentions toward Kurds, and a handicapped peace process will fail to implement any reforms Kurds were looking for such as creating a civil constitution, releasing Kurdish Communities Union (KCK) activists, improving PKK leader Abdullah Öcalan's conditions in prison and allowing Kurdish language education. However, he was still supposed to do something more to embrace other ethnic groups other than Kurds, so Demirtaş created an artificial perception to catch the attention of potential voters that were not with him beforehand. He launched a widespread campaign about women's issues, young people's unemployment, LGBT issues and left-wing activists with constant support from various well-known and popular media and press outlets. He promoted its appeal at a national level and aimed at drawing a wider pool of support from all over Turkey. This resulted in the HDP becoming the fourth largest political party in Parliament, receiving 13.12 percent of the total vote and securing 80 seats. The ruling AK Party lost its majority, as the pro-Kurdish HDP gained seats. In the run up to the Nov. 1 general elections one should comprehend whether the HPD is a left-wing party or an illusion promoted by Demirtaş's discourse, instilling a fictive excitement among potential young voters. The last but not least important issue is how much the HPD represents its voters. First of all, if a political party aims to be an umbrella party to bring all leftist movements in Turkey together, it should be clear and indisputable in its election manifesto. I had a quick glance at the HDP's election manifesto, but I just came across some left-wing activist jargon scattered through it, nothing more. Even in some part of the manifesto, excessive use of "collective production," "collective presence of Kurdish people," "woman labor," "ecological perception" and "ecological constitution" is highly remarkable. The manifesto is much more than an assembled piece of work of leftist connotations and implications, but it lacks any clear political direction and incentive, and I have to say that the initiative for an ecological constitution was the name of the campaign of Ümit Şahin, who is the spokesman of Turkey's Green Party. But in all that noise, there is no ostensible leftist political content. Moreover, it would be a valuable sign for me if I were able to find the slightest clue about the elimination of land feudalism that creates land slaves in southeastern Anatolia. WHAT? CONSERVATISM IN DAS KAPITAL? In order to determine the religiosity of the public, KONDA asked the question: "In terms of religiousness, which of the following defines you? Some 59 percent of HDP voters defined themselves as religious in the survey, but is the HDP able to represent religious voters who try to fulfill the requirements of religion? Considering that the HDP lacks the necessary experience to focus on religion in its election campaigns, it is impossible for the Kurdish political movement to compete with the AK Party at this level. Let's give an example of election results from two conservative provinces in southeastern Anatolia where religious affiliations are widespread and strong. Regarding Turkey's socio-cultural dynamics, religion's influence is highly significant in regions where affiliations play a prominent role shaping identity as an ultimate determinant. One of them is Adıyaman, where the center of the Naqshbandi Sufi order is, which has approximately 2 million followers in Turkey. The other is Şanlıurfa, known as a pilgrimage town, city of prophets and the first place where Islam entered Anatolia. The province is also well known for its conservative tribes and feudal social structure. In the June 7 general elections, even though the AK Party lost a significant amount of votes in southeastern Anatolia, it received 58 percent of the vote in Adıyaman and 46.8 percent in Şanlıurfa. While the AK Party was successful in all the districts of Adıyaman, receiving more than 60 percent of the vote in nine of them, it received an average of 57 percent of the votes in five out of the 13 districts in Şanlıurfa: Karaköprü, Haliliye, Eyyübiye, Akçakale and Harran. Even though some academics, journalists and experts announced the HDP's big success to break out of ethnic identity politics and move from a Kurdish-oriented party, it seems that the HDP failed to address the religious voters of southeastern Anatolia. The HDP amplified its strength only in areas that are Kurdish majority. According to the KONDA analysis, the votes the HDP received in the non-Kurdish areas came from those only with high levels of education in metropolitan areas such as Istanbul, İzmir, Muğla, Eskişehir and Ankara. In light of the above, how an average HDP voter looked in the June 7 elections and the HDP's power of participation with its leftist jargon in its election manifesto, were discussed with clues added from KONDA's June 7 election and voters analysis. Up to the termination of the two-and-a-half year reconciliation process, the AK Party served as the guarantor of it and religion in southeastern Anatolia. Throughout the reconciliation process, the AK Party did its homework pretty well and accomplished the predetermined reforms more than estimated. Following the launch of the Sept. 30, 2013 democratization package, the AK Party legalized education in mother languages in private schools, removed the morning pledge of allegiance that is accepted as a discriminatory text by Kurdish people, gave state aid to political parties that receive at least 3 percent of the national vote, lifted the ban on election propaganda in languages other than Turkish, allowed reinstatement of (mostly Kurdish) names for villages and towns and also released thousands of Kurdish activists charged with PKK and KCK membership. 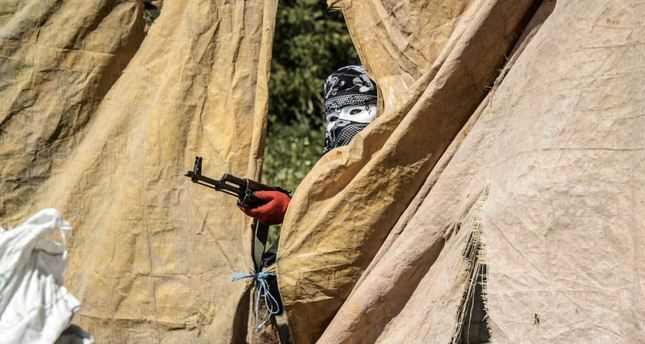 However, the PKK did not keep its promise, its armed militants did cease their fire, but never fully left Turkey, and with the government's desire to avoid any conflict, the PKK began imposing its own law and order in certain southeastern provinces by collecting taxes, setting up courts and even establishing check points. I do not think the reconciliation process could be re-launched in an enthusiastic manner like before, since pushing for autonomy through violence, the PKK has left little room for civilian politics and the HDP has not moved from being a Kurdish-oriented party as of yet. Therefore, accusing the AK Party of ending the reconciliation process is pointless. It seems that the HDP's election campaign is neither a sign of the rise of a new left in Turkey nor represents the people socially with its non-pluralist politics of inclusion. In the upcoming days the HDP will polish its election manifesto, try to not lose the support of non-Kurdish voters from the middle and upper-middle classes and benefit religious Kurds who used to vote for the AK Party. In any case, the Nov. 1 election is projected to look like a battleground, specifically for the AK Party and HDP. Can the UN prevent World War III?